Welcome to this HR Blast from Jaluch. In this Blast, we look at employment legislation for larger organisations. This includes legislation that is already in place and legislation that is on its way. And, if you are wondering what a ‘larger’ organisation is, well it’s different for every piece of legislation but if you have just 50 staff, some of the following will apply to you! 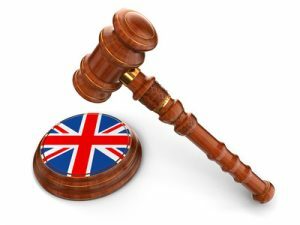 The complexity of employment legislation always astounds us at Jaluch and one of the additional complexities, is the UK Government’s tendency to draft some legislation which is solely applicable to larger organisations! To help you navigate through this mire, we thought we would summarise the key pieces of employment legislation applicable to larger organisations – although even that terminology is complicated, as some legislation applies when the employee numbers reach a certain threshold, while other legislation depends on turnover! The Modern Slavery Act came into force in October 2015 and consolidates slavery and trafficking offences alongside introducing harsher penalties and sentencing rules. The key change for larger businesses, specifically those with a turnover of £36 million or more is the requirement to produce a report detailing what action they have taken to ensure that there is no slavery in their business or supply chain. Its due diligence processes in relation to slavery and trafficking in its business and supply chain. The parts of the business and supply chains where there is a risk of slavery and human trafficking taking place and the steps it has taken to assess and manage that risk. Its effectiveness in ensuring that slavery and human trafficking is not taking place in its business or supply chains. The training about slavery and human trafficking available to staff. As you can see from the list above, supply chains are a key feature of the report and so many smaller businesses who supply larger organisations are very likely to see an increase in pressure from the organisations they supply. Action: larger businesses and smaller businesses supplying those larger businesses should create a policy and information document for staff about slavery and trafficking. They should also identify which, if any of their suppliers, they should be asking about labour/resourcing. Larger businesses should also identify what checking and auditing process they will be putting in place. Using data from April 2017, by April 2018, organisations who employ more than 250 employees will be required to publish information about their gender pay gaps on an annual basis. This new reporting will mean that organisations have to disclose their average pay (and bonuses) of men and women, which will not only highlight any disparity in pay levels at the same grade, but will also highlight differences in pay if for instance there are more men in higher paid senior roles whilst women are in lower paid roles. Note: Once the gender pay gap data is published, the Government propose to draw up a league table of around 8000 firms to draw attention to the worst offenders. The current gender pay gap is 19.2% and it’s estimated that it would take another 47 years for pay equality with the current level of progression. It’s hoped that public reporting will make organisations take a keener look at their gender pay gap and prioritise addressing it going forward. Please see here for a full Jaluch HR Blast on the Gender Pay Gap Reporting. The Information and Consultation of Employees (ICE) Regulations came into force in 2005 and apply to organisations that employ more than 50 people. The regulations give employees the right to request that their employer sets up consultative arrangements, or makes changes to existing arrangements. For the request to be valid, it must be made from at least 10% of employees. Although we don’t often hear much about these regulations, there are quite steep penalties, up to £75,000 for failure to implement a request. Macmillan received a request to set up consultative arrangements, but rejected the request on the basis that they already had a consultative committee in place and had done so for 30 years. The EAT found that the existing arrangements weren’t valid as they didn’t cover all staff and Macmillan were fined £55,000. From 2010, employees with at least 26 weeks service have been able to make a request for (unpaid) time off to attend training, if they worked for an organisation who employed at least 250 employees. Employers who received these requests were obliged to follow a process very similar to that used for flexible working requests, to consider the requests and either accept them, or reject them using one or more of the eight business reasons used to reject flexible working requests. In reality, we don’t often see requests of this type and given that now anyone can make a request to work flexibly, there is a strong argument that this legislation has really been superceded by the change in flexible working legislation and is redundant. Eliminating unlawful discrimination, harassment, victimisation and other conduct. Advancing equality between people from different groups. Fostering good relations between people from different groups. The specific duties require public organisations to publish equality objectives at least every 4 years and to publish information which demonstrates their compliance with the three aims set out above annually. We said it was complex! Not only do you need to understand the legislation, but also understand whether it applies to you – do you have the requisite number of employees or turnover or are you in the public sector! If you need our help with anything mentioned in today’s Blast, please get in touch. We’d love to hear from you!